When disasters impact communities across the country, the people affected by them can lose anything and often lose everything. It’s a trying time for many of them; who may not even have a home to go back to or a place to call their own. There can be multiple solutions to this problem. Some survivors can go stay with friends or family members. Some survivors are eligible to receive rental assistance. Some survivors are placed into manufactured housing units—when there’s no other place for them to go. I can hear the questions now. Not exactly. These are manufactured housing units. These new units are designed to support the real world, longer-term needs of disaster survivors after a disaster and are equipped with new features designed to promote safety and accessibility, including residential sprinklers and accommodations for survivors with access and functional needs. 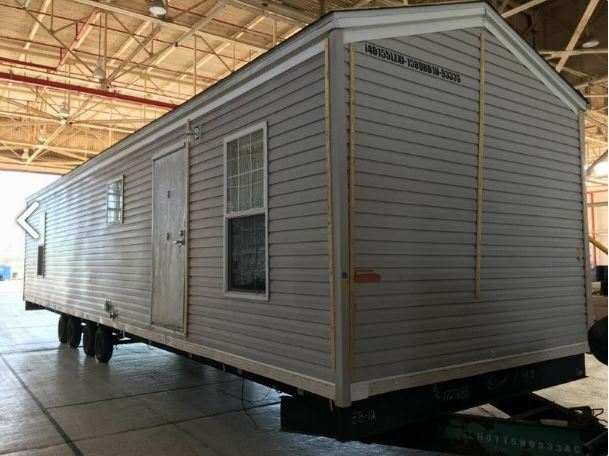 Unlike many of the mobile homes we’ve relied on in the past, this next generation of temporary housing meets the rigid standards created by the Department of Housing and Urban Development. And they’re built to house survivors much longer than previous units used after disasters too – an important consideration because rebuilding can take months or even years. According to Administrator Fugate, the Department of Housing and Urban Development’s temporary and manufactured housing standards are the “gold standard.” And it’s true. Between the two agencies, there’s a common goal of making sure people and their property are safe and so through looking at all of the standards out there, we’ve found that those from the Department of Housing and Urban Development standards fit our needs best. These housing units aren’t a one-size-fits-all solution, just like any other aspect of federal assistance. They aren’t for everyone, and they’re deployed in situations where there may not be any other housing options available. Several of these units have been used in California as a solution for survivors of the Butte and Valley fires that burned last summer. With temporary housing, the term “temporary” carries a heavy weight. The word can mean a lot of different things to a lot of different people. It could be a couple hours, a couple months, a couple weeks, or even a couple years–depending on who you ask. While these units are considered a temporary housing solution, we plan for however long “temporary” may be. With that in mind, we’ve been working for a while now on a project that’s designed to help these units last as well as protect the people living in them. We know that temporary housing units can be susceptible to an increased risk of fire. We’ve worked with our partners at the Department of Housing and Urban Development and the United States Fire Administration to ensure that our manufactured housing units are now equipped with smoke detectors and sprinkler systems. These sprinklers are known to help save lives when they’ve been implemented. Accidents happen, storms and other natural disasters happen, and like all other kinds of disasters in all other kinds of places, we have to be prepared for the ones inside homes too–even homes that are manufactured or temporary. This is a big step forward for us—and one that we’re very excited about taking. It’s come about after a long series of conversations with a lot of different partners and it’s very encouraging to see it finally come to life. Saving lives and property is a cornerstone to our mission—and these new manufactured housing units and improvements to our older units—help us achieve that mission.